Home » At TMV » Why Did the Clean Eating Trend Gain Popularity? Why Did the Clean Eating Trend Gain Popularity? In the last five years or so, people have become immensely interested in trying the clean eating trend. Although some variation exists in the definition of “clean eating,” people generally agree the goal involves prioritizing eating whole foods or those with as few ingredients as possible. Additionally, clean eaters want foods made up of things they can pronounce — not chemical-based additives, preservatives or anything else unnecessary. But, what caused clean eating to become such a phenomenon? Although it’s not possible to pin the clean eating trend on one thing, Instagram and its influencers had a gigantic role in making clean eating part of mainstream culture. Although, Instagram has the potential to ruin diets if people merely see dishes that look beautiful in pictures and start eating the ways Instagram influencers suggest without doing independent research. Additionally, within their Instagram posts, many people who adhere to clean eating talk about the substantial gains they notice by cutting out specific foods — even healthy ones. But, Instagram, along with all other social media platforms, typically only shows the perspectives the account owners want to show the world. As such, Instagram users probably wouldn’t chime in to describe the downsides of particular dietary choices. And, if they did, any side effects would assumedly be substantially downplayed, not emphasizing the danger that people can put themselves in by using Instagram as a dietary guide. Dieting isn’t easy, and it can feel exceptionally isolating. Consider how a person on a diet might look at a menu during an evening out with friends and think, “There’s nothing here I can eat!” Simultaneously, the other people at the table chatter about the diverse offerings and can’t decide what to order. It’s not surprising that research shows many dieters go on social media for support and motivation. They appreciate knowing even if none of their real-life acquaintances subscribe to their chosen diets, they can find online communities of people ready to hear about their triumphs and offer kind words through difficult times. Many social media users don’t have to say anything memorable to make people jump on dieting bandwagons with them. They merely post before-and-after photos of their newly sculpted bodies made possible by clean eating or another diet. Frequently, images feature people in gyms as they proudly show off physical accomplishments. After seeing that photographic evidence, it’s no wonder people feel inspired. 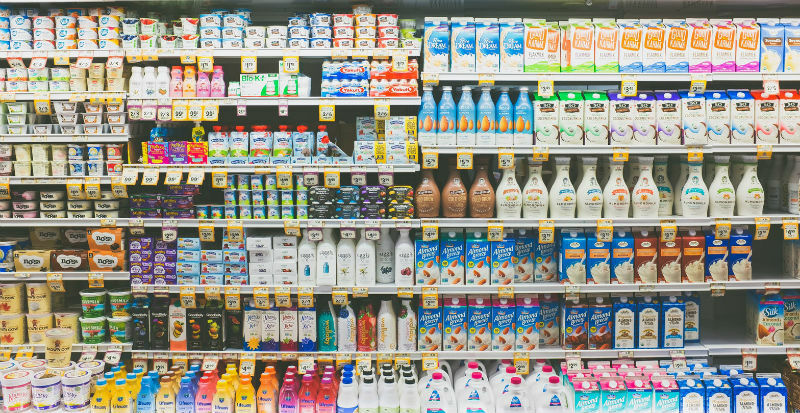 A survey of people from the United States, Europe and Asia found that 73 percent of people said they’d pay more for clean label products. The clean label movement spans beyond consumables and also applies to topical items, such as personal care items. Going back to Instagram, it’s common for people to post pictures of supplements they use with clean eating diets. They urge others to try those things, thereby giving momentum to companies that align with the desire to eat clean. Since clean eating lacks a single accepted definition, people often alter what it means to suit their needs. Alice Liveing became an Instagram superstar primarily because of clean eating. She became known as “Clean Eating Alice,” and has more than 638,000 Instagram followers. However, she eventually responded to the relatively recent backlash against clean eating that happened when people pointed to the diet as overly restrictive. Liveing authored several books about food and healthy lifestyles. When Liveing tried clean eating, she aimed to develop a healthy and more balanced relationship with food. Liveing also said if she’d known how polarizing the clean eating trend would become, she would have chosen a different name. Despite being around for years, experts say clean eating isn’t going anywhere. Some analysts assert opportunities are present if brands create indulgent products that match clean food preferences. That’s a mostly untapped segment of the market. They also mention that private label brands are coming up with more clean eating options, and that’ll likely continue. According to experts, people with a history of eating disorders are particularly vulnerable to lapsing into unhealthy eating patterns due to clean eating or other methods that encourage cutting things out. There’s even an eating disorder called orthorexia. People diagnosed with it only want to eat clean, healthy or pure foods. Professionals familiar with orthorexia warn that although people with other eating disorders often try to conceal their habits, those suffering from orthorexia commonly take pride in and publicize them. It’s easy to see, then, why social media sites like Instagram, along with the general rise in popularity of clean eating, could cater to people with orthorexia. Clean eating is like most other diets, in that it could encourage people to eat unhealthily even if they solely consume foods generally considered healthy. However, clean eating could help you get on a path to a healthier diet that includes more fruits and veggies, less red meat and reduced consumption of processed foods. Eating that way could indeed lead to better health. If you’re thinking about trying it, do so under the guidance of a dietician instead of only following the accounts of clean eaters on Instagram. Many of those people lack formal training about eating well and could unknowingly urge people to do harmful things. Finally, recognize that clean eating should support your mental and emotional health as well as your physical being. If you start to internally berate yourself for consuming a “bad” food from time to time or not getting the kind of results other people broadcast on social media, it’s time to step back and review clean eating and the impact it has on you.